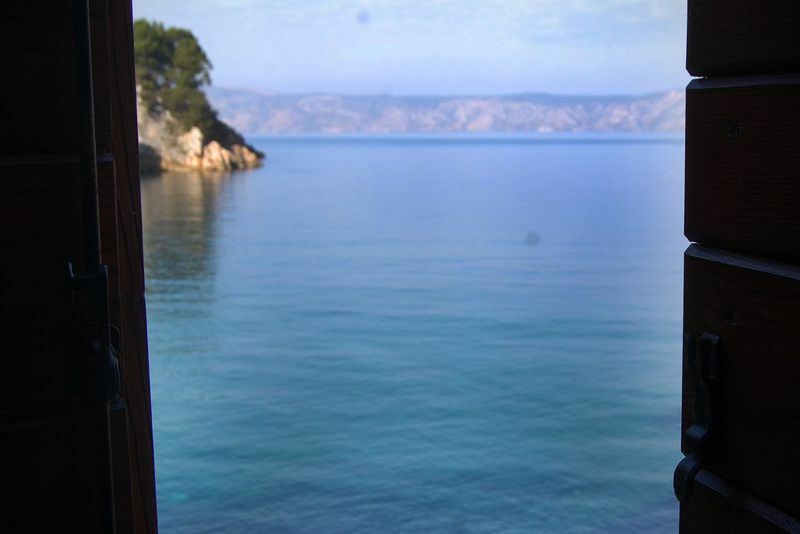 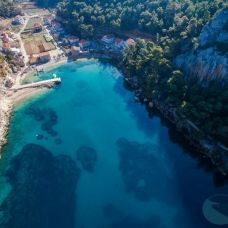 The crystal clear waters and untouched nature Bay Vela Stiniva is located in the central part of the island on its northern side. 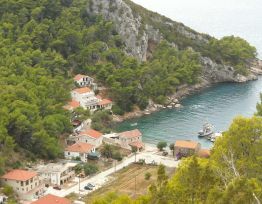 Veli Stiniva dominated country houses (rural Baroque) from the 18th century where is located the part of the building, "Cher Zane". 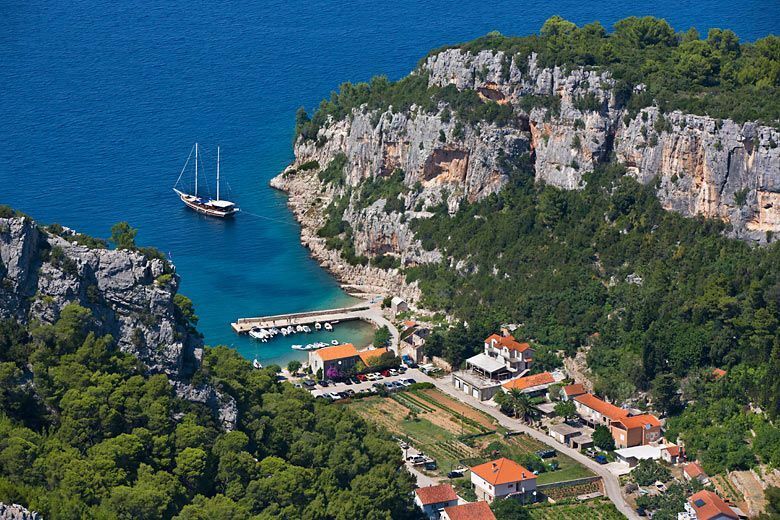 Vela Stiniva has built docks for ships with small protected harbor and several caves, caverns and caves. 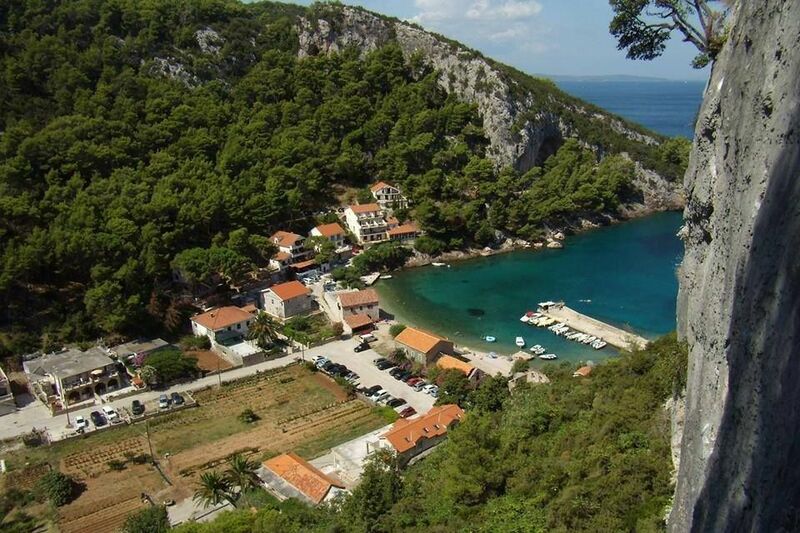 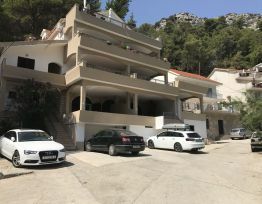 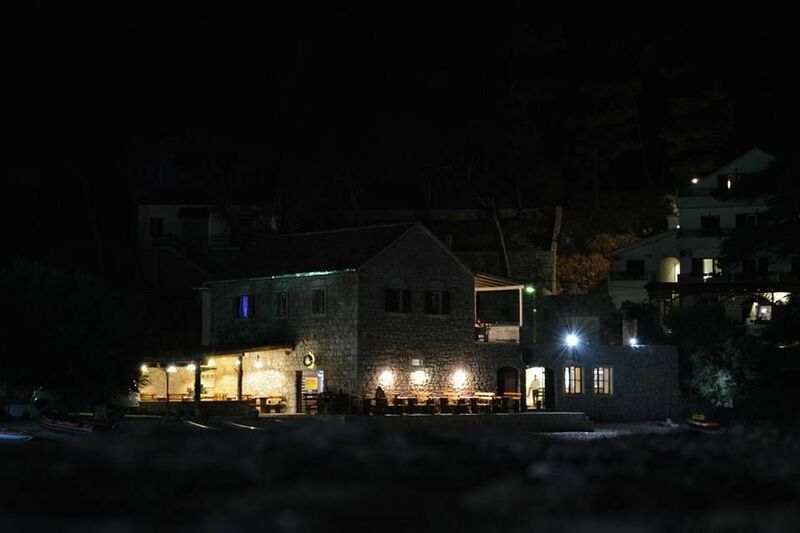 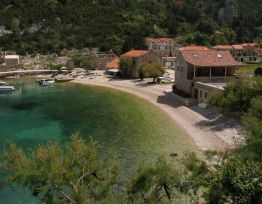 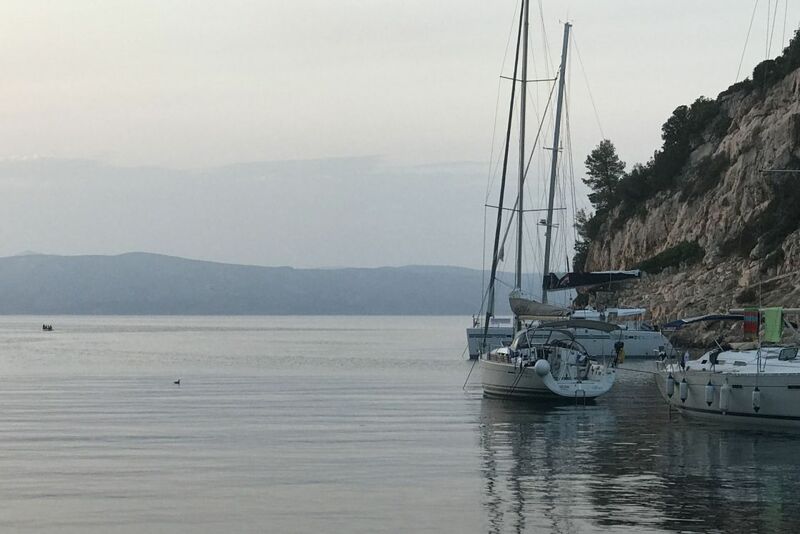 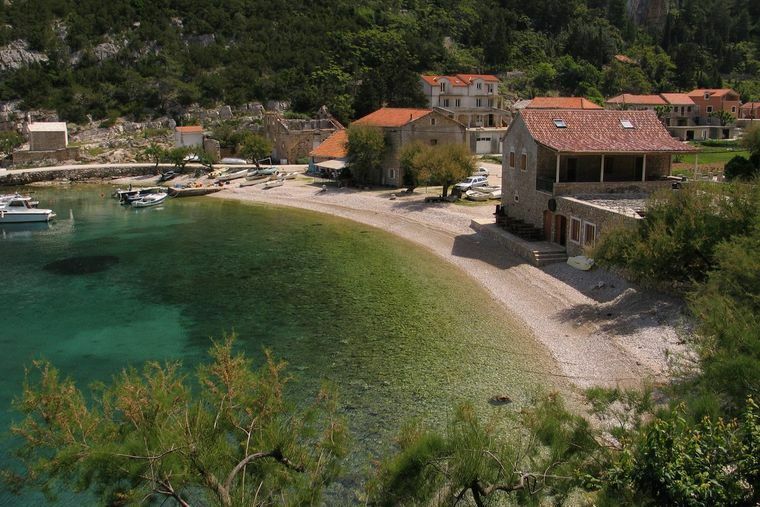 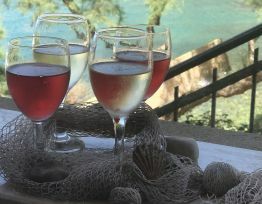 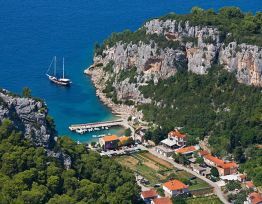 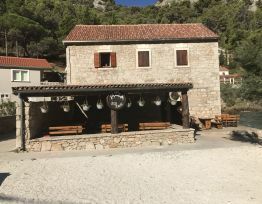 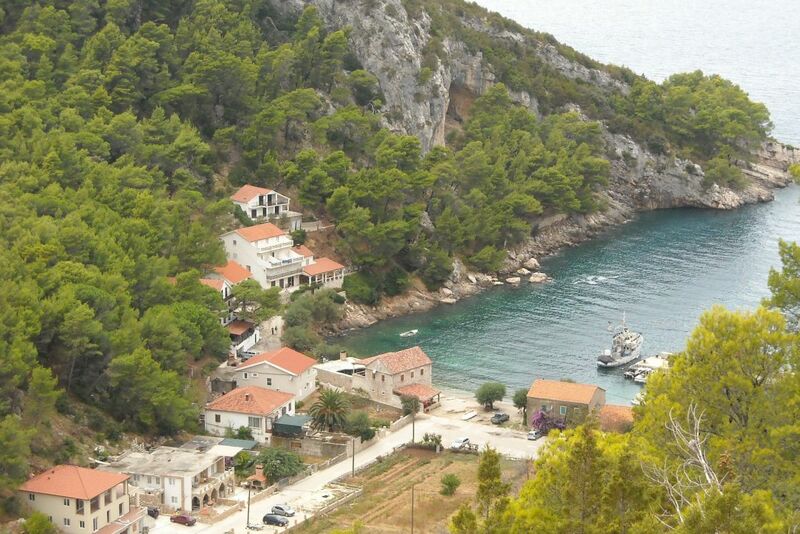 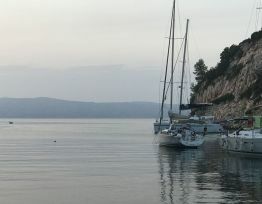 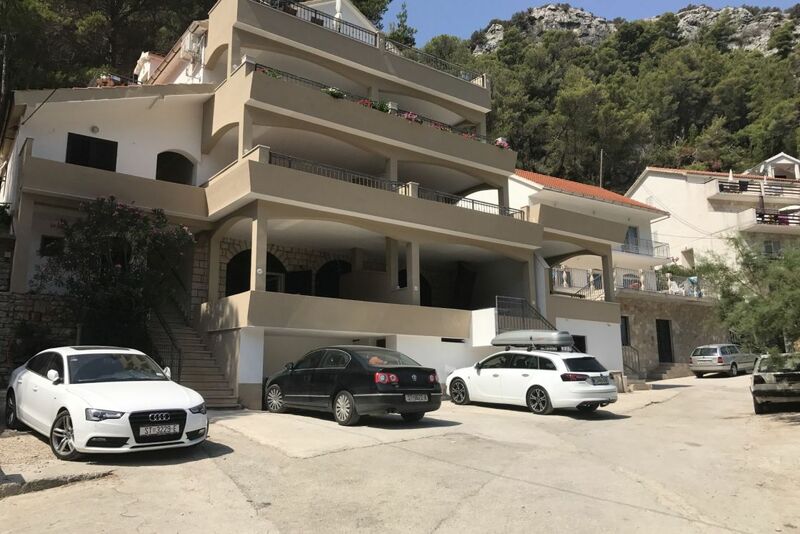 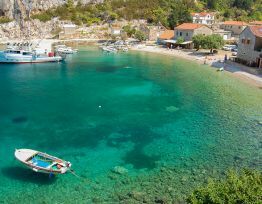 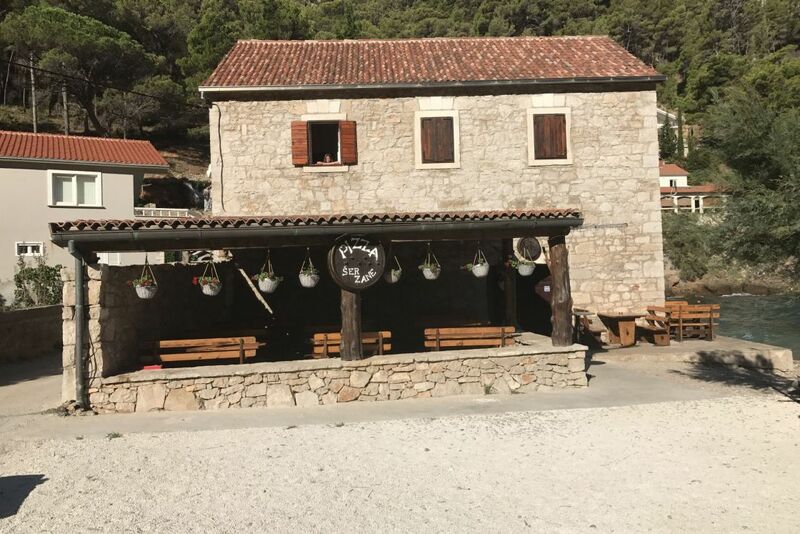 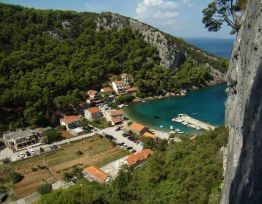 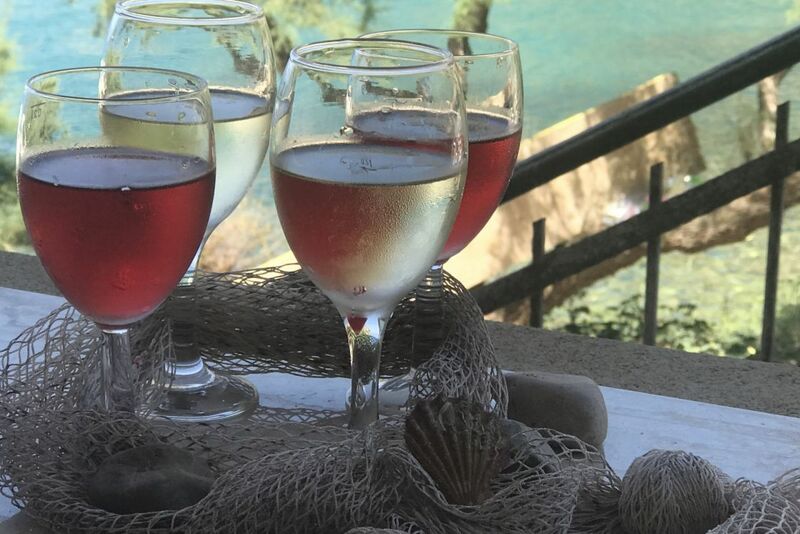 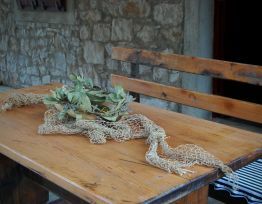 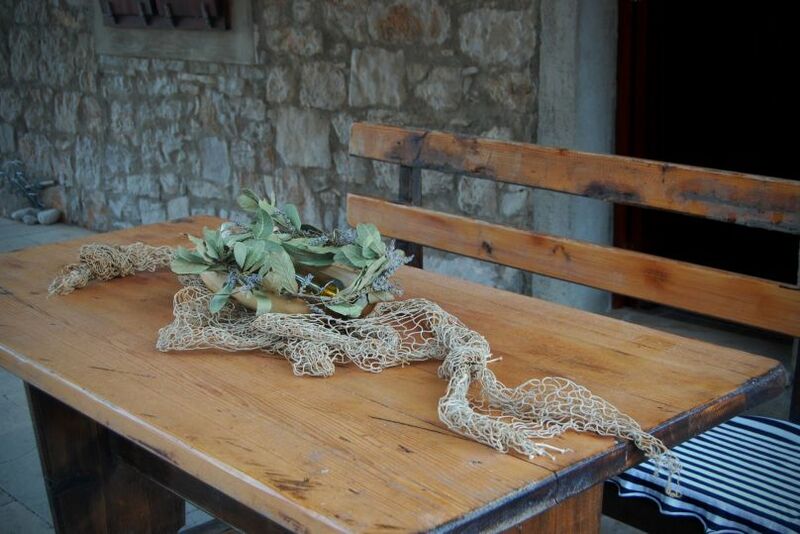 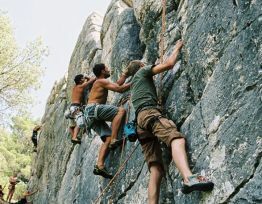 Also, it should be noted and large rocks that surround the bay, ideal for hikers both beginners and those with more iskustva.Obitelj Dragicevic the hospitality industry in Vela Stiniva, Zastrazisce - Island of Hvar engaged for four decades. 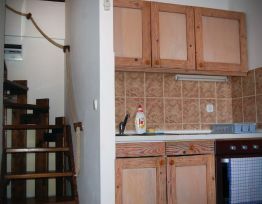 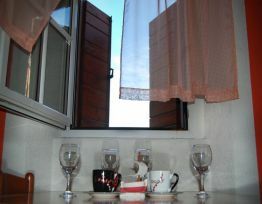 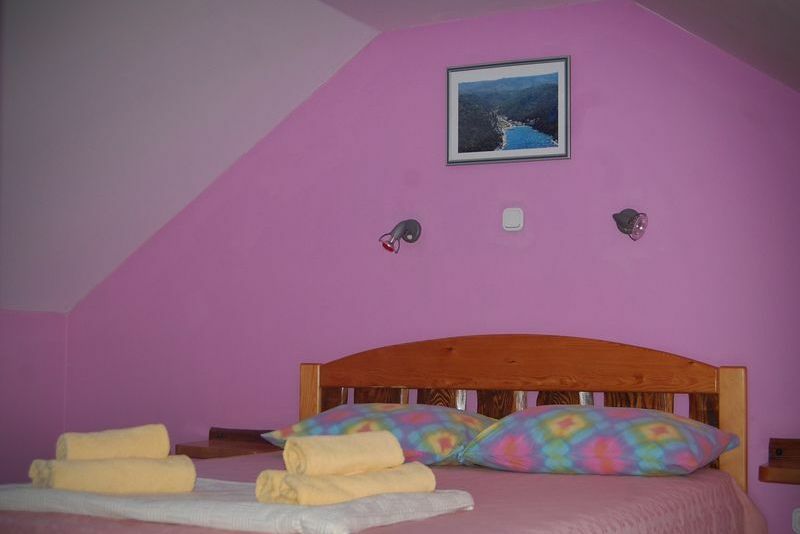 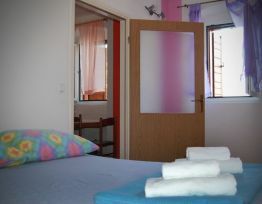 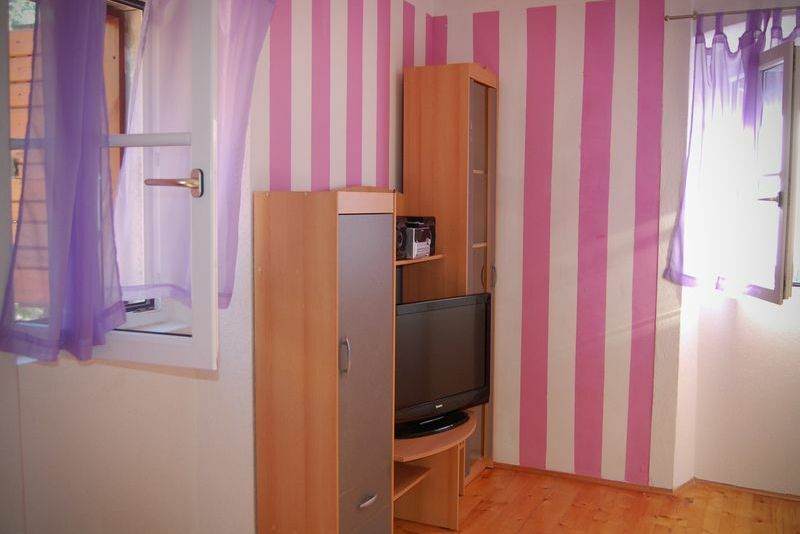 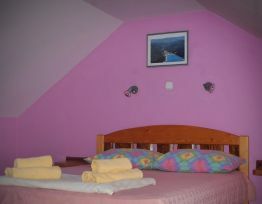 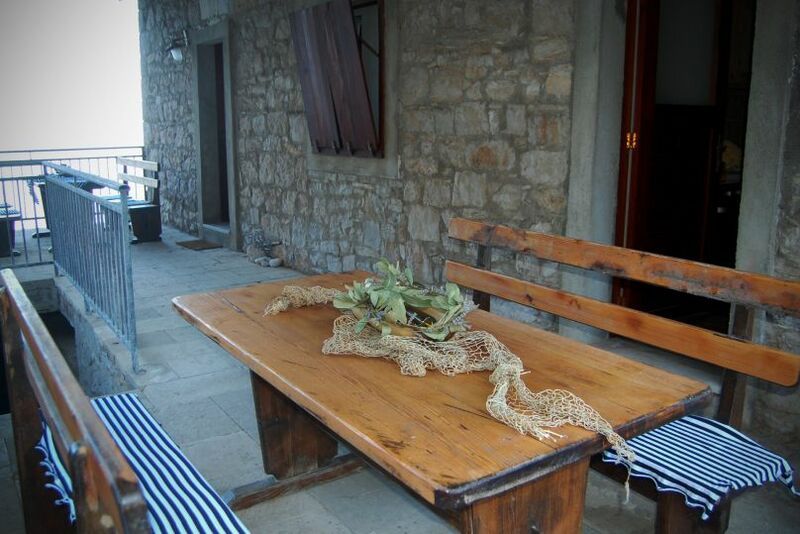 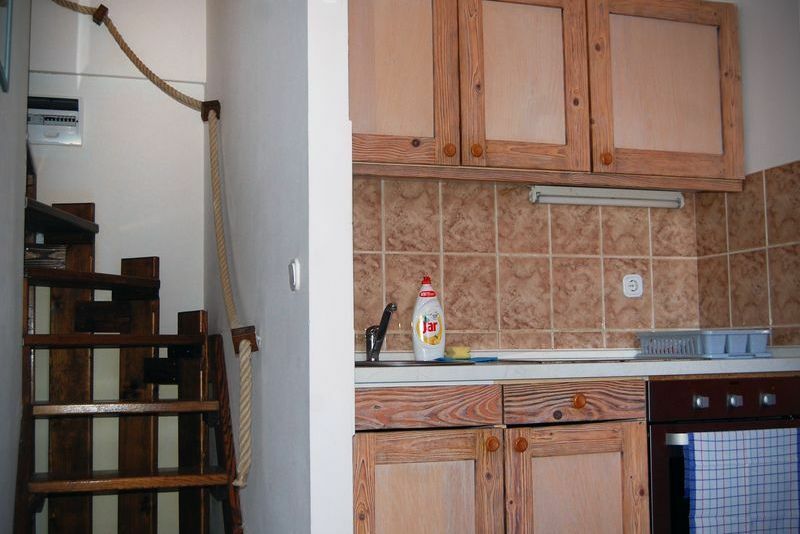 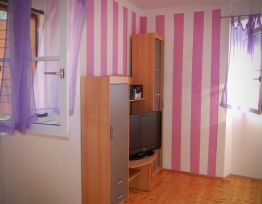 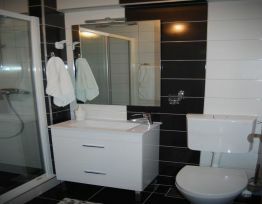 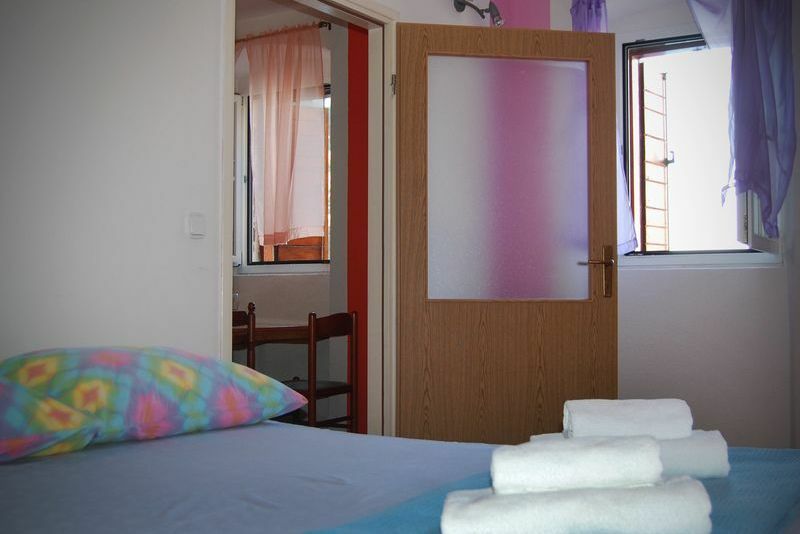 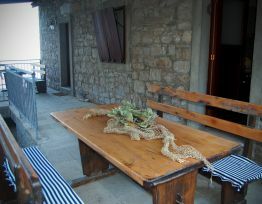 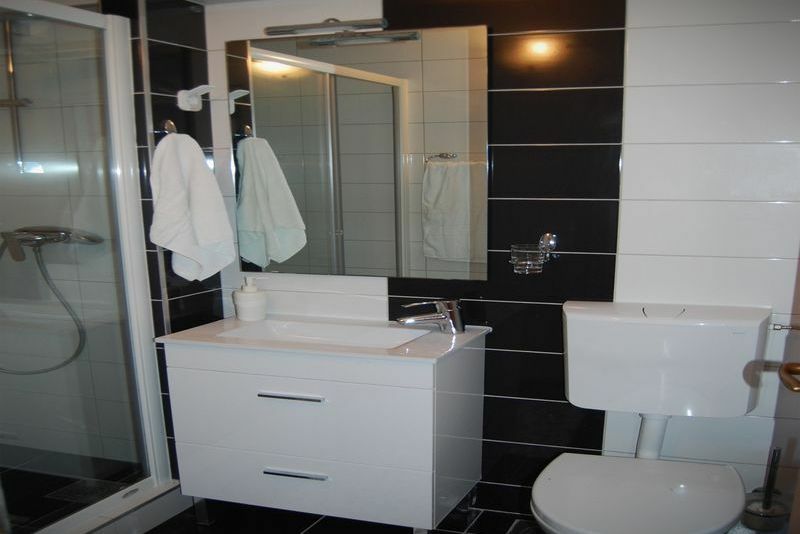 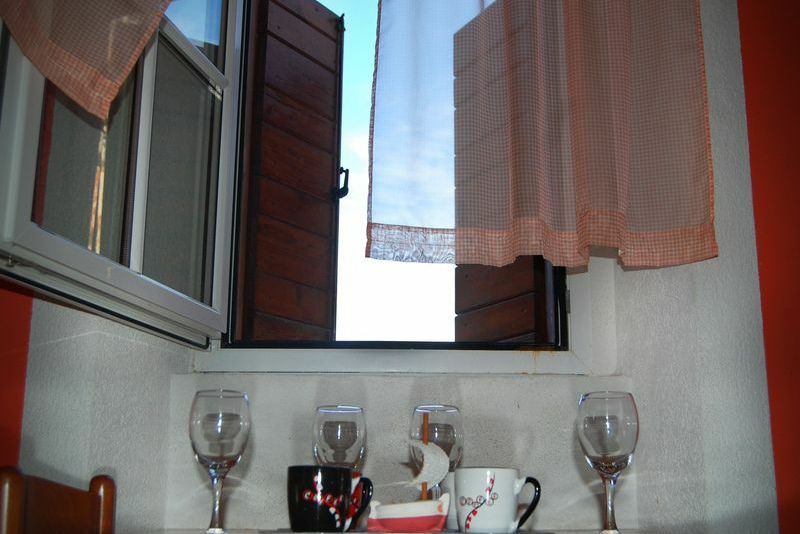 With the restaurant - pizzeria "Cher Zane" we offer excellent accommodation in our house "Apollo" which contains 7 apartments. 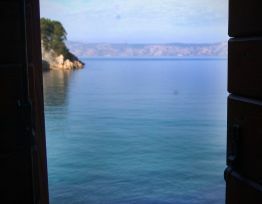 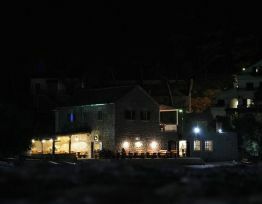 See you in Vela Stiniva!